March 2016 - ITEMS ADDED TO SLIDE SHOW! Thank you for your interest in our Bear Hunts. We are a family owned and operated business specializing in areas 45, 51. We are located on the east side of Lake Mille Lacs. 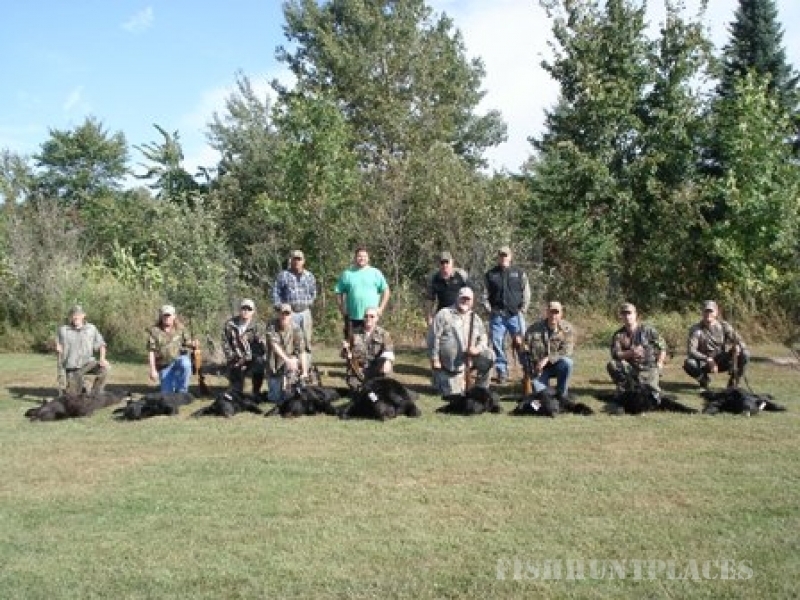 We take hunters Sept. 1st - 5th (our most popular time) and Sept 7th - 12th. 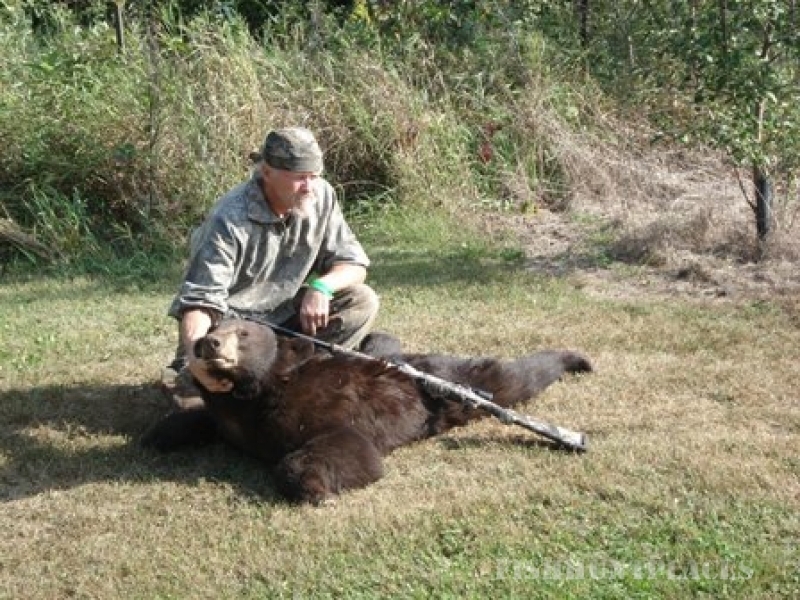 We offer a 5 day bear hunt for $1000. There is a $200 non refundable deposit . 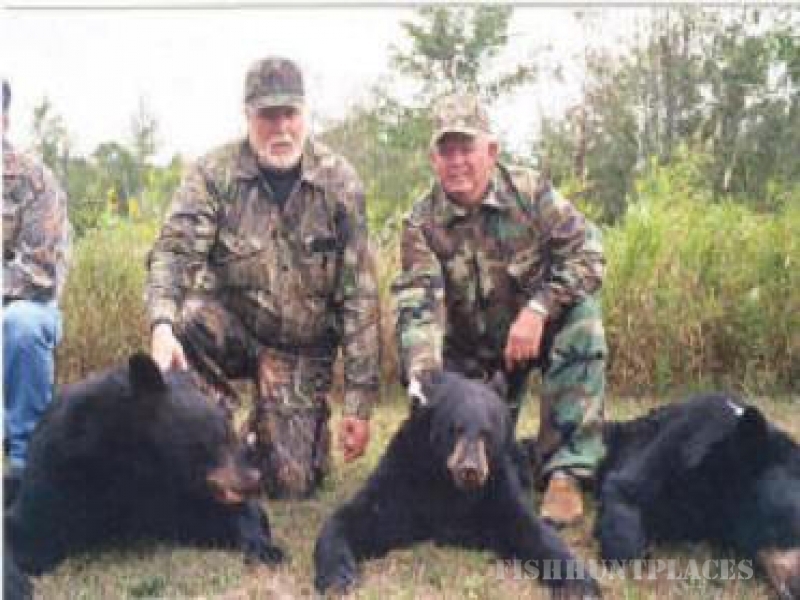 Your hunt will include supper after your hunt each night and we offer to remove your bear from the woods, skin, gut, quarter and cool it in a freezer truck. Click HERE to access the DNR web site for a lottery application and to purchase a license if necessary. Application for the lottery starts April 1st. Deadline for the lottery is May 4th. A license will need to be purchased by Aug. 1st. A second lottery is held starting Aug. 3rd. for anyone who did not get drawn in the first lottery. This lottery goes very quickly.